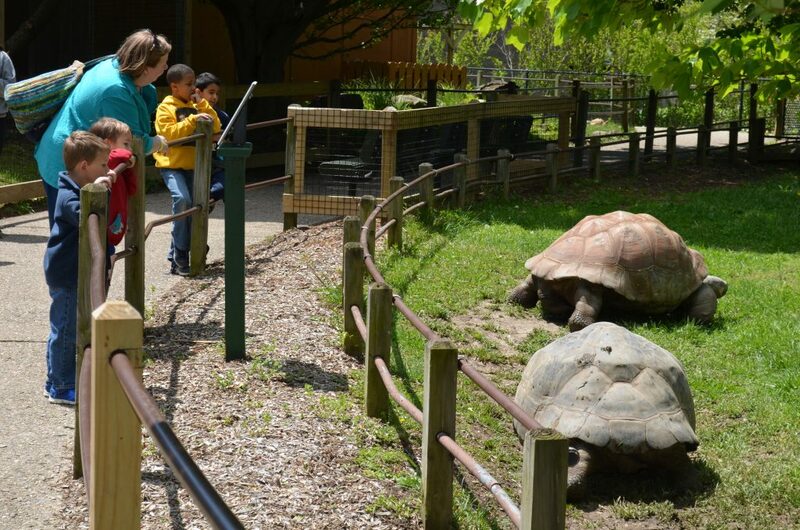 Take a field trip to Scovill Zoo! 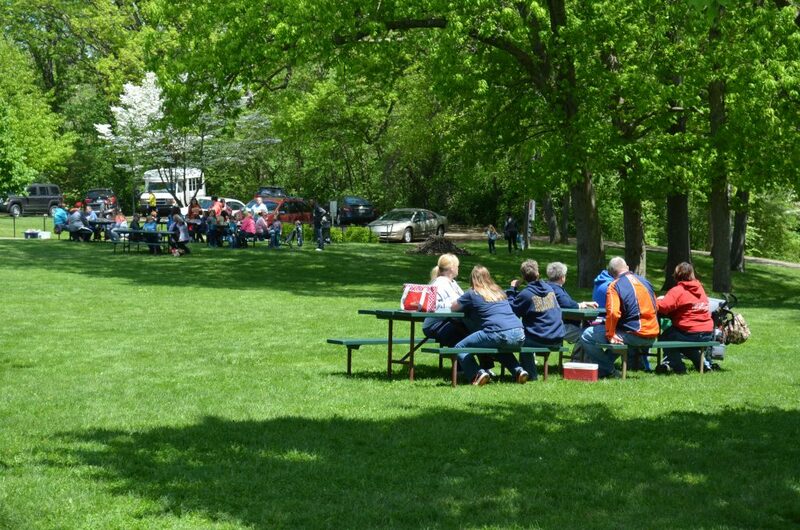 For groups of 10 or more, the zoo offers guided tours, attraction discounts, concession stand, picnic area, and more. Groups must book at least two weeks in advance by calling the zoo at 217/421-7436. Payment by VISA, MasterCard, Discover, American Express, check or cash is due at the time of your visit. Please contact Kathy Winter for further assistance. Click here to view our Field Trip Flyer! Schools and organizations are given a tour of the zoo with a narrated explanation of exhibits and its residents. Offered to first grade students and older. Cost is $4.75 per person (for a group of 10 or more); for ages 6 and up only. Includes students, teachers, chaperones, parents, siblings, and bus drivers. Large groups need to be divided into smaller groups of 10-12 people. One guide per smaller group will be provided. Guided tours are scheduled at 9:30 a.m., 11:00 a.m., 12:30 p.m., or 2:00 p.m.
Schools and organizational groups can tour the zoo on their own. Offered to all grades and age levels. Cost is $3.00 per person (for groups of 10 or more). Includes students, teachers, chaperones, parents, siblings, and bus drivers. Save with our Tour Savings Package that includes admission, train & carousel! Price is $7.50 per individual for the Guided Tour and $5.75 or $7.00 per individual for the Self-Guided Tour. $7.50 deal for Guided tour includes admission, train and carousel. $5.75 deal for Self-Guided tours include admission, train and carousel. 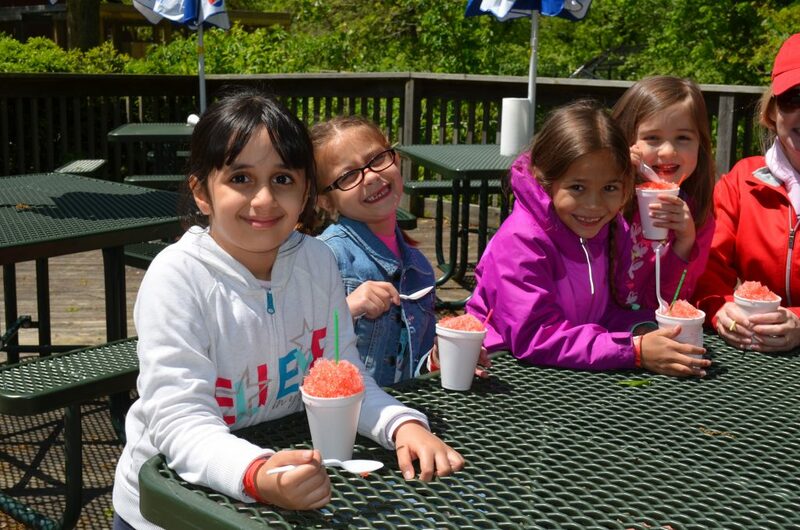 $7.00 deal for Self-Guided tour include admission, train, carousel, goat food, and snow cone. Reservations for all tours must be made at least two weeks in advance. To get tour rates, group must be of 10 or more. Train rides are $2.25 per person while a ride on the carousel is $1.75 per person (tour group rate). Allow at least an hour and a half to fully experience the zoo. The total cost, including train and carousel rides, must be collected and paid by one person prior to entering the zoo. Please pay in the Gift Shop. Entering separately will result in a charge of regular prices. Master Card, Visa, American Express, and checks accepted with proper identification. Animal feed is available for $0.25 in the Petting Area. Meal deals, grab bags, and discounts on sno-cones are also available. Great values! Please walk while inside the zoo. Running children may startle the animals, causing them to hide out of view. Skinned hands and knees can spoil the day, too. Keep a headcount; there are a lot of students here during tour season! Name tags with the child’s name and school are very helpful for identifying lost students. 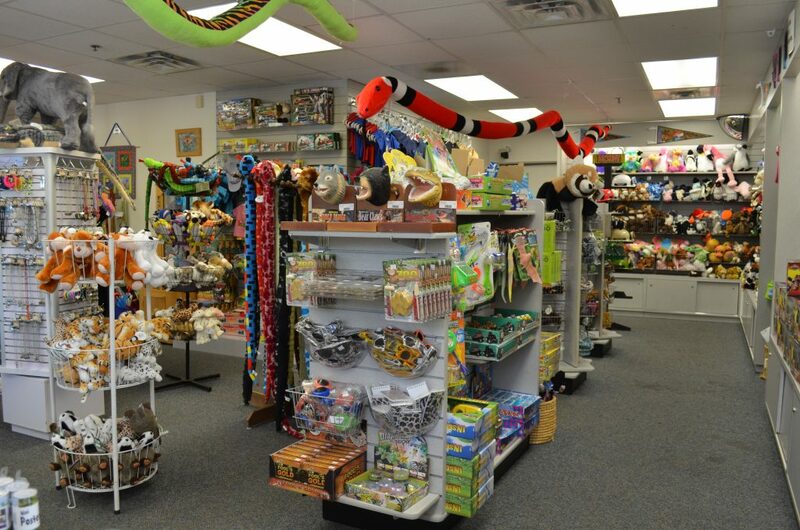 Scovill Zoo has a Zootique Gift Shop and Zoopermarket. Determine whether your students will be allowed to buy souvenirs and snacks before your arrival to the zoo. Please plan at least ten to fifteen minutes to get your group through the gift shop. A large and inviting playground is also on site. You may wish to plan time for your students to enjoy the many challenges of Project Playground! Limited picnic facilities are available inside the zoo. There are many picnic tables at the edges of the parking area. Facilities are available on a first-come, first-served basis. Please advise students to walk slowly when crossing the parking area and NOT to run down the hillside. Country Club Road is a winding road that can be very busy with traffic. Two restroom facilities are available for your convenience. As you enter the zoo, you will find fully accessible restrooms in the gift shop, which can also be entered from the outside, near the entrance to the playground. A second restroom is located next to the concession stand under the archway. The staff at Scovill Zoo strives to make group visits pleasant, enjoyable and educational! Please contact us if we can assist you in any way: 217/421-7436. Office hours are Monday – Friday, 8 a.m. until 4 p.m. Thank you for your interest in Scovill Zoo!